For anyone who loves cooking and entertaining, a range cooker is sure to be high on their wishlist and it is not hard to see why. 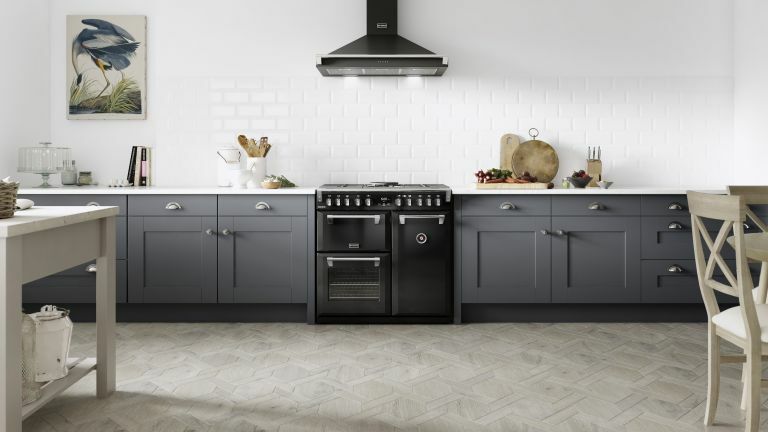 Additional hob rings, more oven space and that traditional range look are sure to have an impact not only on your cooking prowess, but the aesthetic of your kitchen too. There are plenty of other functions to look out for, which can make choosing the right model a little bit bewildering. That’s why – with some help from Stoves – we have pulled together the top features to keep an eye out for in your new range cooker, taking cooking from an everyday necessity to an everyday joy. Whether you are cooking a family roast with all the trimmings, or attempting to bake a three-tier celebration cake, on occasion you will find yourself in need of more than one oven. A smart chef will look for a cooker with not just multiple cavities, but cavities with multiple functions. As well as efficient, fan ovens, you should also consider spaces for keeping plates warm or proving bread. Some models come with a cavity perfectly suited to slow cooking. Don’t forget to check the oven capacity too. Smaller ovens start at around 35 litres which is more than enough when you have more than one oven. The Richmond Deluxe Dual Fuel Range from Stoves features a generous 60 litre main oven – which is the perfect size for your Christmas turkey – and three further cavities for grilling, roasting and keeping food warm. This means over 200 litres of oven space in total. Even the keenest chefs don’t want to spend their whole evening slaving over a hot stove. This will certainly be the case if you are entertaining. Get out of the kitchen with the help of a smart timer that connects to your phone via Bluetooth®. Look out for Stoves range cookers with a Zeus™ Bluetooth® Connected Timer so you can relax knowing your creations are in safe hands. This allows you to set the timer remotely using a smartphone or tablet and even store your favourite meals in the app to save time. We all have that one signature dish that seems to use every pan in the house and require several things to be cooked at once. Preparation and cooking ahead can only take you so far – if you want everything to be served hot, it will need heating through before serving. While no range cooker will offer you spare arms for stirring two sauces, manning two pans of boiling veg and sautéing your potatoes, a good range cooker will have enough burners to do all the jobs at once. A five-burner hob is a great option for the home chef. It will give you plenty of room to cook everything and even when you don’t need all of the rings it prevents the overcrowding of large pans on the hob. A Stoves range cooker has five or seven elements depending on the size and you can choose between gas and induction hobs. Induction models come with ultra low heat for sauces and a speed setting for boiling. On the subject of burners, don’t forget that different types of cooking, need different levels of heat. The best thing for cooking your favourite stir fry is a powerful wok burner. Not only do they offer the heat required for fast cooking, but also cradle the wok, distributing heat more evenly across the pan. If you love the instantaneous heat of a gas hob, but prefer the reliable temperature control of an electric oven, look for a dual fuel cooker. This tends to suit most people’s cooking style, acknowledging that electric offers more consistent results for bakers. Having the option of gas hobs instead, really does give you the best of both worlds. If you are conscious of your fat intake you might want to look at alternatives to roasting in oils, by using features such as Stoves’ Steam & Infuse™ accessory. This allows you to turn your oven into a steam oven by acting as a trivet, holding meat above a tin of your chosen liquid such as stock, oil or even beer, locking in nutrients and cutting cooking time. The option to turn your hob into a griddle allows you to sear ingredients for maximum flavour and you might also like the oven’s pizza function which lets you cook the perfect pizza at home everytime – and that means no more greasy takeaways. Want to find all these features and more in one oven? For a cooker that looks the part and offers all the functions you need, check out the Richmond Deluxe S1100GTG from Stoves. With nearly 100 years experience of crafting premium cookers, Stoves know exactly what the modern chef needs and have engineered the Richmond Deluxe to fit the bill. With a traditional range design in a timeless black finish, this model will suit both traditional and contemporary kitchens and includes a stylish and practical gas on glass hob. What’s more, Stoves range cookers are available with half price installation, up to £200 cashback and flexible finance options, only on AO.com. Start your cooking journey here.